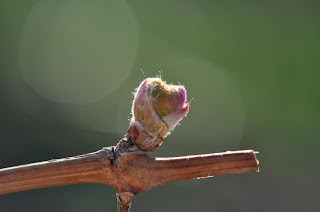 It's spring time in the vineyards, which brings with it the most awaited moment of the vineyard's life cycle. In early March the days get hotter and the vine begins to wake up. The heat triggers the reproductive rhythm, the sap flows upward from the root to the vines, and then that annual miracle happens: bud break. Even those vineyard workers who have seen it 60 times wait with anticipation and some anxiety for this moment, and praise the heavens when it happens. 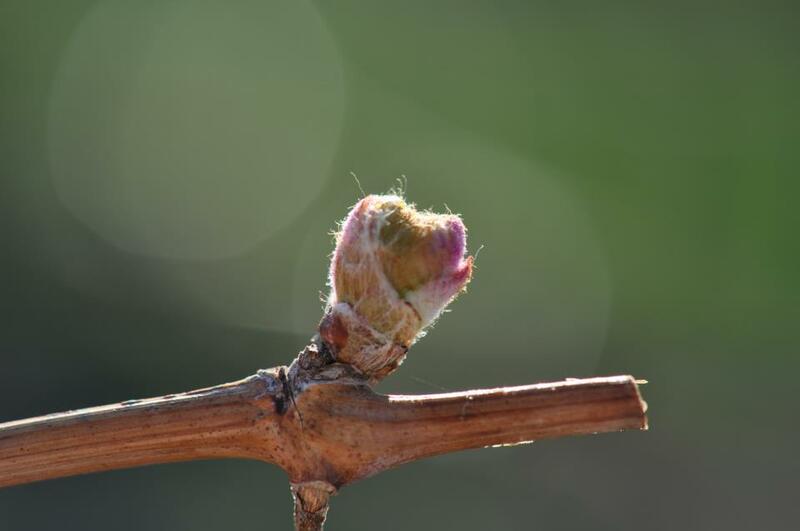 Bud break brings hope, it brings life, and it brings the promise of abundance, livelihood, and harvest. I wondered for a long wintry season if the buds would ever break in my life. Everything felt cold, dormant, and desolate. I was burnt out, stretched thin, in a job that was choking the life out of my soul, stuck in uncertainty about my future. I could hardly remember the last harvest, when my life had felt full and rich. I had lost my passion for writing, and I struggled with bouts of depression. Even the holiday season had been lifeless and empty. I wondered if the earth had stopped spinning under my feet, and whether I would be stuck in eternal winter. I got serious about wine after I started visiting the Santa Ynez Valley, about 45 miles north of Santa Barbara, in 2004. I first visited after seeing the movie Sideways, and I quickly learned two things: first, this is my favorite place on earth, and second, don't mention the movie Sideways to locals. I quickly became a regular, making the drive up here 10-12 times per year, and I began to nurture a dream of living here and spending my remaining days writing, sipping the plentiful nectar of the land, working at a winery, and living a big life in a small town. The Santa Ynez Valley became my promised land, a place where wine flows like water, where beauty lifts and calms my soul, where it takes an hour to get out of the grocery store because everyone in line chats happily with checkers and baggers, where life moves at the pace of the annual vine cycle, where the farmer's market is three blocks long in a six block town. But every promised land has giants as well as grapes. There were significant obstacles keeping me from the entering the land. It is expensive to live in wine country, and my hospice resume wasn't exactly conducive to getting a job in the wine world. My dream was so near and yet so far away, and I lived for many seasons in that far away nearness. I was in the wilderness, and I didn't know how to get out. In April 2013, I attended a conference in Napa hosted by Image Journal called "Cultivate," and the theme was winemaking, art, and the creative process. I had left hospice a month before, and was suspended in an in-between world, walking a tightrope between two cliffs, trying not to look down. It was an unsettled, anxious time. One morning at the conference, I spoke on my own search for "place," and especially how elusive true place has been for me. I longed for a place where I felt I belonged, a place that I could call home, a place where God visited. And for me that place is Santa Ynez, but I felt like Moses in that I got to see my promised land but didn't get to enter it. But buds are relentless and inevitable. They may look fragile when they first emerge, but they will not be denied. Even if a spring frost comes and freezes the nascent buds, new buds will shortly take their place. The vines will flower, they will produce leaves to make sugar and protect the flowers from the summer sun, and clusters of grapes will develop out of the flowers. Sugar levels will increase, acidity levels will decrease, and come the fall the grapes will make wine. Last July, I was offered the assistant manager job at one of my very favorite California wineries, Au Bon Climat. Last fall, I took another part-time position as a winery tour guide in Santa Ynez, combing my passions of wine, history, and Santa Ynez. About the same time, I figured out that downtown Santa Barbara is the right spot for me to live. There have been some dark and cold nights. There has been loneliness and sadness and desolation. But once again, buds are breaking all over the place here. They will not be denied, not even by the coldest winter.